Safety is a critical part of any company’s success but the importance transcends beyond business success. Safety is important to everyone involved. When workers perform safely they go home safely…to their families and friends and loved ones. 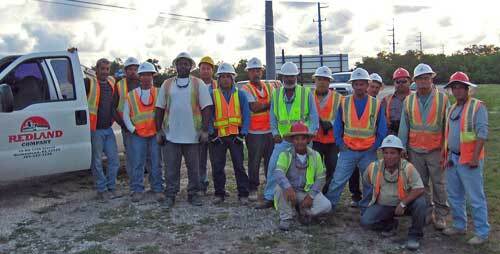 Redland takes Safety seriously and fosters an employee culture of Safety with stringent expectations. Redland has won several safety awards including ABC’s STEP program, MSHA, and FTBA’s Safety Achievement, as well as recommendation letters from our clients.